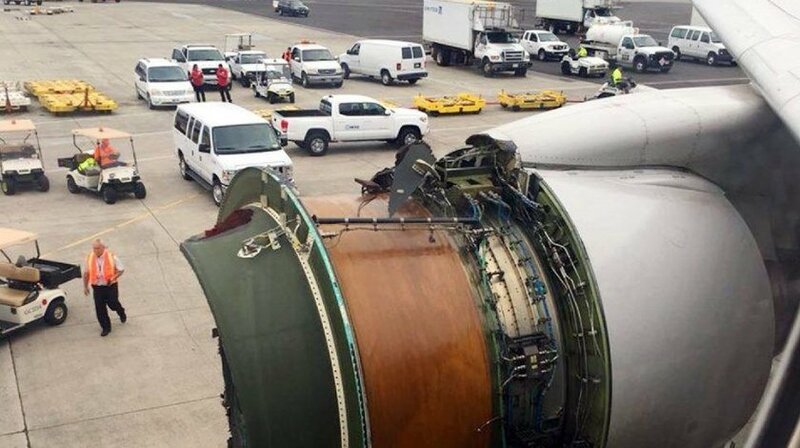 A United Airlines flight landed safely Tuesday in Honolulu after an engine cover came off during its flight from California, the airline said. The airliner landed as emergency responders waited nearby, said Hawaii Department of Transportation spokesman Tim Sakahara. Flight 1175 was traveling to Honolulu from San Francisco. “There was a loud bang … and then the plane really started shaking,” passenger Allison Sudiacal told Hawaii News Now. “There was a loud boom and then it was like rattling and the plane was kind of shaking like boom, boom, boom.” Sudiacal was traveling with her 4-month-old son, her husband, Tim, and his parents.